I bought a skein of Malabrigo laceweight yarn the other day. I couldn’t resist it, in all its soft soft brightness. After rejecting every stitch pattern in the Harmony Guides on Friday, I woke up this morning, made coffee, and let the yarn do the talking. I sat all morning with it, and am even now itching to get back to it. I think I’m in love. And so that’s the “obsessed” part of this post title. Here’s the catching up part. Coincidentally (really! 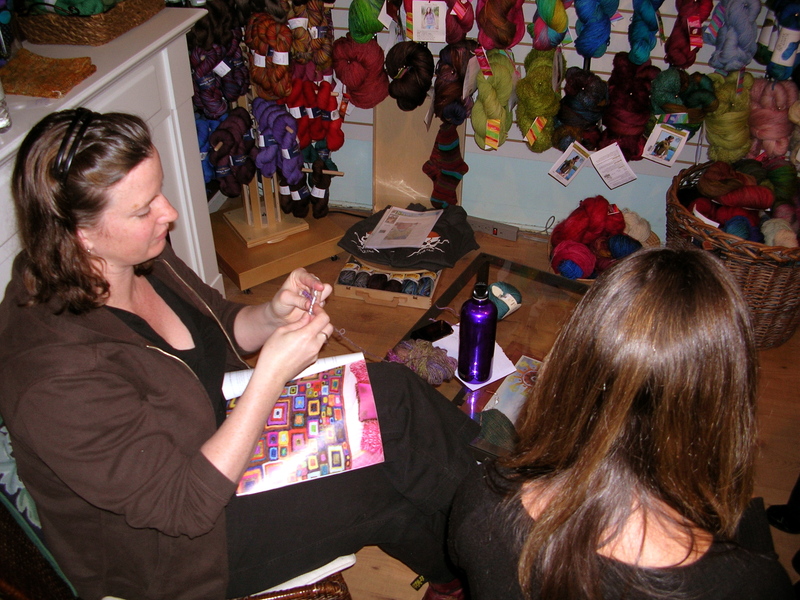 ), while we were there the owner of the store was learning how to crochet so she can make a Babette Blanket. When I haven’t been crocheting the scarf today, I’ve been reading What is the What for our next book club. I didn’t like the last book we read, but I love this one. Like deep down, think-it’s-genius love. I have a pile of books waiting to be read, but I’m savouring this one word for word. Which isn’t so great, because I have to finish it by next week. I’m still working on my Gathered Pullover. I finished the body and started the first sleeve. When I’ve finished the scarf, I’m sure I’ll dive back into it. Aaaand. There you have it. 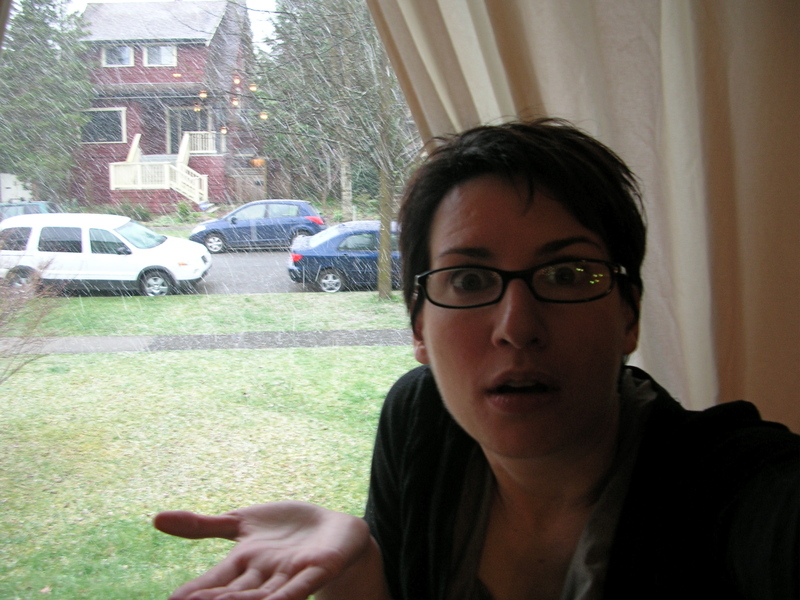 I was wondering how the snow was impacting your photo shoot! I can’t wait to see the summer issue pics, knowing the conditions under which you had to take them! Love thes scarf – usually varigated yarn is too much for crochet but that is fabulous, guess you just need the right stich.